Treacy House, remodeled the summer of 2014, is a two-story community that provides co-ed, apartment-style living for 45 sophomores, juniors, and seniors. Four individuals occupy each unit. 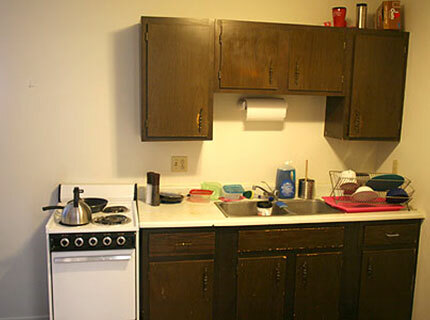 Each apartment unit has two bedrooms, a living/dining area, private bathroom, air-conditioning, a kitchen with a sink, stove, and refrigerator. 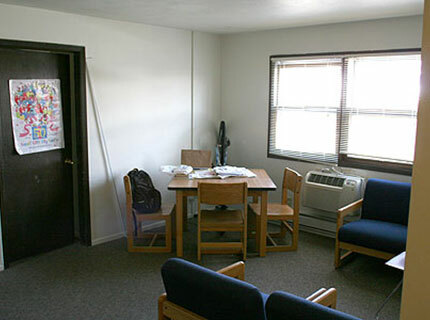 The apartment unit comes furnished with a dining room table set, couch, chairs, dressers, desks, and bunk beds. Each apartment unit has Internet access and cable TV. 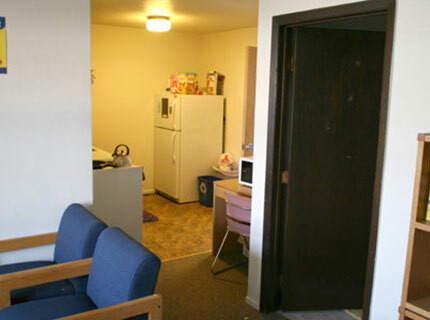 The terrace level has study/programming areas, storage, and laundry facilities.